Moving can be very stressful and laborious for any family, especially if it is your first big move to a new apartment home. There are a few ways in which you can make the transition of moving more enjoyable for the whole family just by following a few simple tips. At Arcadia Run, we strive to make your move go as smoothly as possible, so check out our recommendations below! Many people think that researching a moving company takes too much time. However, it is crucial that you find reliable help who will not only move all of your belongings into a truck, but someone you are willing to trust with all of your belongings. Take the extra time and choose a company who you feel you can trust. That being said, a reliable and helpful mover may not be the cheapest option, but spending the extra money will ensure the safe arrival of your truck with all items still inside. Two of the most critical supplies needed when moving are boxes and tape. Make sure that the boxes are sturdy and can withstand the weight of plates, books, and any other heavy objects that will neatly fit inside. Bubble wrap is always good to have when moving fragile items such as glasses or picture frames that you would prefer not to bounce around on the drive. Making a checklist before the big move is always helpful when trying to gather the packing materials. Everyone is aware that moving takes a lot of time and energy. If you are moving with children, you know that this is doubly true! However, your time can be more efficiently managed if you plan ahead and write down everything that you want to finish before the big day. Making a list of everything that must be completed is a good way to set goals and have them visualized in front of you If you are moving with small children, plan extra time for breaks so the kids stay happy! After you have set your goals, made your lists, bought the supplies, and researched the movers, don’t forget to label your boxes! If you forget to do this, moving into your new apartment will take double the amount of time than it should have. Make sure you write the room where each box belongs, and whether the content inside is fragile. Giving movers a heads about the fragile objects will decrease the chances of opening boxes to broken items. If you want to get even more detailed with labeling, you can choose to label the boxes by priority, such as “high” for items that should be unpacked immediately and “low” for boxes that can wait a few days. Finally, make sure that everyone packs an overnight bag. This is the most forgotten item when families move into their new apartment!. A few items that should be packed in the overnight bag include a change of clothes, toilet paper, toiletries, water bottles, phone charger, plastic utensils, garbage bags, any necessary medications, and entertainment for the little ones. This way, you won’t be digging around through all of your boxes trying to find your PJs! Hopefully, these tips have been helpful and can help you better prepare for the big day! For more information on how you can enjoy a brand new apartment home at Arcadia Run, visit the arcadiarun.com. We can’t get enough of the new luxury clubhouse at Arcadia Run! If you haven’t seen the clubhouse and all of the amazing features in it, now is the time to stop by. Take a look at just some reasons to love the new clubhouse here at Arcadia Run! The modern rustic style of the clubhouse gives it a sophisticated look but a warm and welcoming feel. If you are having trouble decorating your new apartment home, stop by the clubhouse for some cool design inspiration! With so many spaces in the clubhouse, there is more than one way to hang out with friends and family. Hold a gathering to watch a football game in one of the lounges or entertain friends in the bar area. With technology being everything these days, we know that our residents value accessibility to it. With state of the art computers in the main lounge, and even a conference room, you have everything you need for a hard days work. Often gyms feel dirty or cramped and you feel like you can’t get a good workout. Our fitness center is new, clean, and equipped with modern cardio and circuit machines for quality exercise time. A fireplace on the porch? Yes please! The porch behind the clubhouse is a great place to relax and watch some television or just chat by the fireplace. It’s good to go out and get some fresh air, even if you are still sitting on a couch. In the summer months, our residents get to enjoy the resort-style pool with lounge chairs and umbrellas. On either sides of the pool, you will find ball courts, a playground, and even a fire pit! Want the feel of a movie theater without going too far? Great! We had a state of the art theater put into our clubhouse so you can enjoy your own movies on the big screen! For more information on Arcadia Run, or additional photos of our clubhouse and amenities, visit arcadiarun.com! · American Legion dinner – The public is invited to dinner with a different special each week. Proceeds support local veterans and the community. 5:30-7:30 p.m. Woodbridge American Legion, 3640 Friendly Post Lane, Woodbridge. 703-494-4304. www.vapost364.org. $5-$15. · “Monsters University” movie – Bring a blanket or a lawn chair for a screening of the animated movie. 8:30 p.m. Loy E. Harris Pavilion, 9201 Center St., Manassas. 703-361-9800. Free. · Shape Up Yoga – Taught by Bedrock Yoga as part of its Karma series. 9 a.m. Loy E. Harris Pavilion, 9201 Center St., Manassas. 703-895-3176. $20. · Yoga on the Lawn – Vinyasa yoga taught by Hamuri Allen. 9 a.m. Rippon Lodge Historic Site, 15520 Blackburn Rd., Woodbridge. 703-499-9812. www.pwcgov.org/ripponlodge. $5. · VFW barbecue – Kansas City-style barbecue to raise funds to buy personal care items for hospitalized veterans. 11 a.m.-3 p.m. VFW Post 1503, 14631 Minnieville Rd., Dale City. 703-670-4124. www.vfwpost1503.com. $15. · Beer and Bacon Fest – With music on the main stage, more than two tons of bacon will be cooked at the event. 2-5 p.m. Stonebridge at Potomac Town Center, 14900 Potomac Town Pl., Woodbridge. 800-830-3976. www.stonebridgeptc.com. $25-$69. · Bird walk – The guided tour will include a variety of habitats. Bring binoculars and cameras. 8 a.m. Merrimac Farm Wildlife Management Area, North Parking Lot, 15020 Deepwood Lane, Nokesville. 703-499-4954. alliance@pwconserve.org. Free. · Job search network group – Plus discussion of various topics related to the search process. Mondays 1-3 p.m. House of Mercy, 8170 Flannery Ct., Manassas. 703-659-1636. Free. · Bingo – Proceeds support Dale City Knights of Columbus activities and charities. Doors open at 6 p.m., games begin at 7:30 p.m. VFW Post 1503, 14631 Minnieville Rd., Dale City. 703-491-2378. $9 minimum. The cold winter is behind us and in a flash spring will turn to summer. Fortunately for Arcadia Run residents there isn’t much you have to do to prepare your new apartment home for the Manassas, VA summers. Here are 3 quick things to help you get ready for summer. There’s no better way to enjoy the warm weather than relaxing on your balcony. Arcadia Run’s apartments come with a personal balcony or patio. Add some furniture and a few plants to make the space your own. 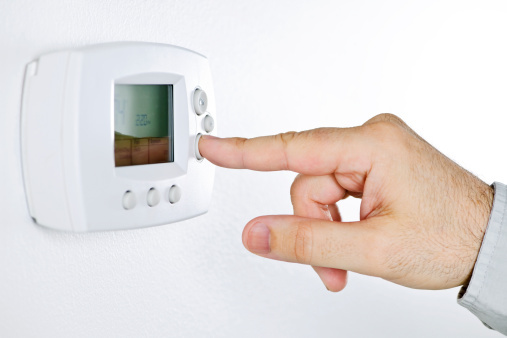 For Arcadia Run residents there is nothing you have to do to prep your AC unit. The apartments and AC units are brand new, so you can rest assured that your unit is ready for the heat. But it’s important to be prepared so in the unlikely event that you do have an issue make sure you have the number to our excellent maintenance staff. Ovens can really heat up a house. Break out your grill and prepare to make your dinners outside. This will keep your home cooler as well as save on your energy bills. The warm season in Manassas, VA lasts from May 29 through September 11. The average temps in July are in in the upper 80s. It’s the perfect time to get outside and enjoy our new clubhouse and pool, which are scheduled to open up on Memorial Day. There has been plenty of buzz around the benefits of having plants in your apartment or home. As natural air purifiers, plants can bring a refreshing ambiance to any space. And, with the amount of natural light in our new apartments at Arcadia Run, any sun-loving plant is sure to thrive. Here are a few of our favorite indoor plants that add a little greenery to your new apartment home. And, if you furry friend is joining you at Arcadia Run, we’ve also noted whether or not a plant is safe for pets! 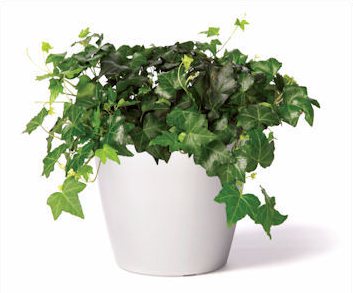 English Ivy is a beautiful plant and when cared for correctly, can grow into a dramatic, cascading centerpiece. It looks great when placed in a hanging planter or displayed on a pedestal. It’s adaptable to different locations and also helps filter your air. English Ivy is in fact toxic to pets, so be sure to keep at a safe distance. While you may recognize Aloe for its soothing qualities, the term ‘succulent’ is lesser known. Succulents are typically fleshy plants, like cactus or aloe, that require very little water and maintenance. Their easy-to-care-for qualities make them a great choice for busy professionals. And, while most succulents are safe for pets, Aloe is not. Don’t be alarmed by the name, these plants are quite friendly and easy to care for. 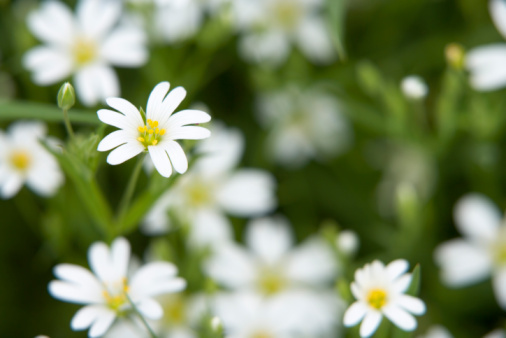 They absorb carbon dioxide and release oxygen into the air, helping to make your apartment feel its absolute freshest! While a snake plant is great for your apartment, it’s not great for pets. So be sure to keep in a safe spot, or choose another plant! Maintaining a mini herb garden is a wonderful way to incorporate some green in your apartment, especially if you love to cook. Nothing is better than having fresh herbs nearby by for seasoning or garnish. Parsley, Greek Oregano, Basil, Rosemary, Lemonbalm, Sage and Thyme are all pet-friendly herbs. Lastly, if you want a little extra brightness come winter, a Christmas Cactus is a wonderful choice. Green year-round, this plants blossoms with brilliant flowers mid-December. They are easy to maintain and are safe for both cats and dogs! Ahh, it’s officially the spring season and we are so happy that it is! 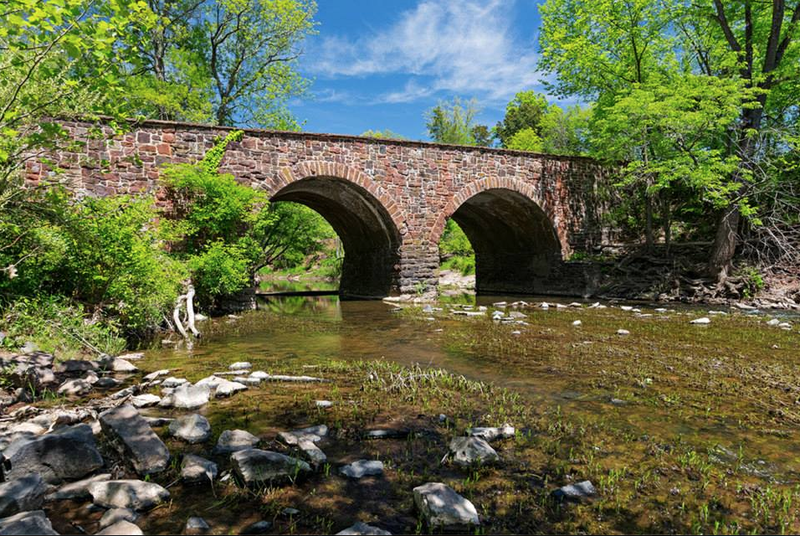 It’s finally warm enough to head outside and explore all that Manassas VA, home to Arcadia Run, has to offer. Here’s a line up of all the fun happenings this April in Manassas! This upcoming First Friday is certainly a special one – because it also coincides with Founder’s Day! 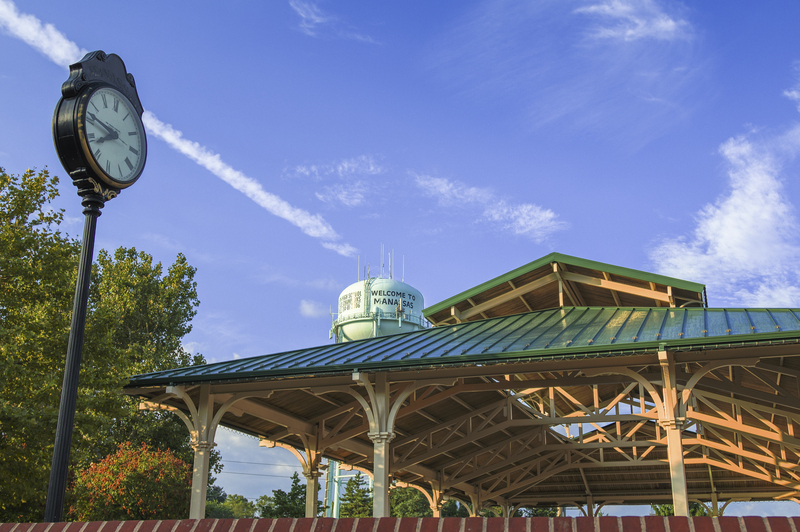 Founder’s Day celebrates the Foundation of Manassas as an independent city, with participating First Friday shops and restaurants focusing on the history of our beloved Manassas. So make sure to head down to Historic Downtown from 6pm to 9pm this first Friday in April! The spring season also means Farmer’s Market open back up for business! In Manassas, we have several markets bringing fresh produce to shoppers weekly. Check out the markets and operating hours at the Harris Pavilion or in Lot B at Prince William and West Street. This year on April 18th will be the 8th Annual Live Well Festival (formerly known as Spring Cleaning Day). With a 5K Run, free health screenings at the Harris Pavilion, kid’s activities, entertainment and sidewalk sales, we think this festival is one of the best ways to kick off the spring season! Also on April 18th from 10am-3pm is the Saturday at the Park event at Manassas National Battlefield Park. Presented by Prince William County Public Schools and SPARK: The Education Foundation for PWCS, this is a wonderful way for you and your kids to explore the park and learn something new while you’re at it. With different activity stations featuring everything from bird watching to water chemistry, this day is sure to be packed full of fun! Coming to the Hylton Performing Arts Center this April is the Pied Piper Theatre with Shrek the Musical! This hysterical and adventurous musical is great for the whole family and will certainly be a wonderful weekend activity. For ticket information and upcoming showtimes, visit the Hylton Performing Arts Center website.